Written by Leon on Aug. 24, 2018 in action, adventure, Comedy, Crime, Drama, Fantasy, horror, mystery, romance, science fiction, thriller. Last update on Aug. 24, 2018 . Your script is made out of locations, action snippets, and your characters’ dialogue. In the In the previous guide, you looked at character dialogue alongside the number of times a character appears. Here we are going to look at when characters appear, with whom they appear, when are they missing, and what that may mean for your story. As we move along the guide, here are some questions to consider: What character appears the most in your story? Is it the protagonist? How much does your antagonist appear? Are there gaps in a certain character’s appearances? What characters appear together? Are there significant characters that never have scenes together? Can you see your story’s subplots in the chart? And lastly, during the climax, are all the significant characters there? In this guide, we are going to take a deeper look at characters appearances in produced screenplays. Your characters drive the conflict and push the story forward, but the characters interactions with one another throughout your film needs to be carefully crafted. A screenwriter has to be surgically precise with which characters the audience sees, when, for how long, and with whom they see them with. Jordan Peele’s social horror, Get Out, mainly focuses on Chris Washington as he slowly unravels the mystery of his girlfriend’s not so kind family, the Armitage’s. But before even introducing us to the main character, Get Out instead begins with a cold open extending to scene 18. The cold open sets the tone of the film with the abduction of Andre, who we don’t see again until the midpoint of the story. Chris, the focal character is featured predominantly throughout the film. You can see this as he is both the character with the most appearances, as well as the character who appears last. Chris’ biggest disappearance is during scenes 95-100 where we focus instead on his best friend Rod-- who ends up saving Chris during the film’s climax. Chris’ girlfriend and secret villain Rose comes in second in terms of appearances. We meet her in scene 17, just after Chris yet she is far less present than him. Not only does she feature more disappearances, but she also ends earlier at scene 111 when she is killed. Extras then come in third, showcasing just how much the film emphasizes that this is Chris’ story. Since his friends are all distanced from him during the film, he really doesn’t have anyone to confide in during the story— which lessens a potential presence of another significant character. Yet the film does host a number of characters in opposition to Chris, which bolster the extras’ presence. As the villains stand in for white racism as a whole, it makes sense they are numerous. The extras appear as early as the first scene and end at scene 118— which serves as the death of Rose’s grandfather. Dean, Missy, and Jeremy make sporadic appearances as secondary villains. Dean and Missy’s appearances at scene 37 mark Chris’ arrival at the Armitage household but they both have large gaps in their appearances thereafter. Jeremy is introduced even later, but ends his scenes around the same time. By using a cold open and heavy use of its main characters, Get Out is able to weave a cleverly crafted story full of interesting characters that are used exactly when they need to be. Produced for a budget of $4.5 million, the film went on to gross $255 million worldwide. The budget is able to be so low partially due to limited use of side plots, only engaging Rod when necessary. Kumail Nanjiani and Emily Gordon’s film debut tells the true story of how the Hollywood couple met. The film far and away follows Kumail, both opening and closing on his character. While a normal rom-com would heavily feature the female character, Emily falls gravely ill and is induced into a medical coma for the remainder of the second act. So although they are featured together heavily up to scene 37, she becomes a staggered presence throughout the rest of the film. To replace her, her parents Terry and Beth take on a significant role for the remainder of the film. This allows the film to continue Emily’s presence despite a lack of screen time and dialogue. Emily still has the second most appearances, however, and she closes out the film with Kumail. Her parents are fourth and fifth behind extras, ending their scenes at scene 116. Although third in the number of appearances, the role of extras here is fairly slim compared to other films; they have numerous gaps and disappear quite early at scene 105. Being such a family-driven movie, the other important characters to note are Kumail’s parents and what sparse appearances they have. His father Azmat is last in terms of character appearances and his mother, Shameen, just ahead. Furthermore, Kumail rarely appears alongside his family— which further highlights the disconnect between them. Character appearances in The Big Sick are used to further highlight our main character’s, whether it be their personalities or relationships. With a focus on the important characters to the story, The Big Sick was able to be made for $5 million and the film went on to make $56 million worldwide. As an ensemble film, IT showcases numerous characters appearing concurrently with one another. Yet, as with any film, one character still needs to serve as the emotional anchor of the film. Presented clearly with this data, we can see that Bill has the most appearances in scenes of any individual character. Even for scenes like the film’s opening and a chunk from scenes 38-55 in which most other characters disappear, Bill remains present. In the aforementioned chunk, the only two other characters we see are Beverly, Bill’s romantic interest, and Zach, his father. Both of these characters continue to serve our emotional engagement with the protagonist as well as his familial and personal hardships. That said, unlike most single-protagonist films, most scenes feature the entire ensemble. The most notable absence of the ensemble is during the film’s cold open, albeit this is a soft cold open. Although we are still being dropped into action and focusing primarily on a character which dies moments later, we are still introduced to our main character and villain in this opening. Most cold opens are entirely removed from our protagonists. Moving forward in the script, you can see from scenes 5-25 that the characters trade off and from the middle of the film onwards we have everyone together. Those initial scenes are used to establish each individual character as their own person. Travis, the school bully, is a rare character to feature some select scenes by himself. These one-off occurrences are even free from our main character, placing emphasis on him as an antagonistic force. He allows the true antagonist and his thematic importance to be humanized, presenting a more apparent foe for our main cast. Clearly a well-crafted story, IT became a global phenomenon. IT generated $700 million worldwide off a $35 million budget. Initially, looking at this chart for The Avengers may be surprising. Not only do we see a heavy reliance on “extras” characters, but from this plot it would seem that Fury is the protagonist of the film. The film begins with a cold open introducing us to both our main villain, Loki and then the benevolent organization, SHIELD. Loki appears in the very first scene with Fury and some other SHIELD agents appearing right after. While The Avengers serves as another example of an ensemble film, watching it the film has far less of a clear protagonist as compared to IT. Yet it makes sense that Nick Fury would be singled out as this character. Like other main protagonists in ensemble films, he’s introduced in the cold open and stays around for the majority of the screenplay. That said, unlike other protagonists we’ve looked at, Fury has numerous disappearances. Both times the film shifts its primary focus to the Avengers, Fury disappears. This first occurs from scenes 25-75 when we’re introduced to the Avengers separately then again from 145-190 during the main battle. What further dilutes the theory that Fury’s the protagonist is that he doesn’t serve as the film’s emotional tie. We get little to none of Fury’s backstory, instead, he serves as a chess-player of sorts, moving around pieces on a board. He’s not only responsible for gathering the Avengers, but getting them mobilized after Coulson’s death. To that end, Coulson somewhat serves as the film’s emotional anchor, if it has any at all. But perhaps because of Coulson’s strong ties to Fury as an agent of SHIELD, one could further the case of Fury’s role as the protagonist. Regardless, the main draw are the titular Avengers. Of which, Iron Man (Tony) and Black Widow (Natasha) battle for the most scene appearances. Captain America (Steve) comes in third once you combine the two names his character appears under. This notion of dual names likely also affects Banner’s appearances as it is Hulk who appears for the climax of the film. Another interesting thing to note is this is among the top appearances in scenes for any film’s antagonist with Loki showing up nearly as much as Fury. Perhaps this explains why The Avengers has been lauded as Marvel’s first film to find success with its villain. Although Loki had appeared in Thor the year before, it was not until Avengers that the character found breakout success. The role served to further launch Tom Hiddleston’s career as well as create a fan club surrounding the character. This movie juggernaut found massive success at the box office. 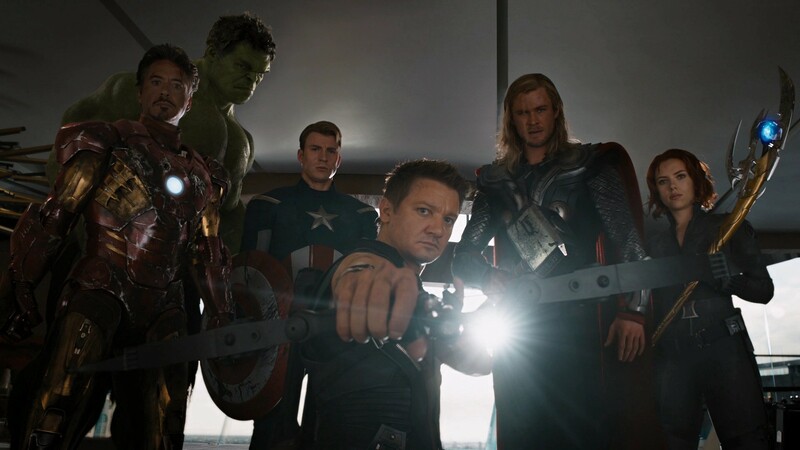 Made for a whopping $220 million, The Avengers managed to bring in over $1.5 billion worldwide. 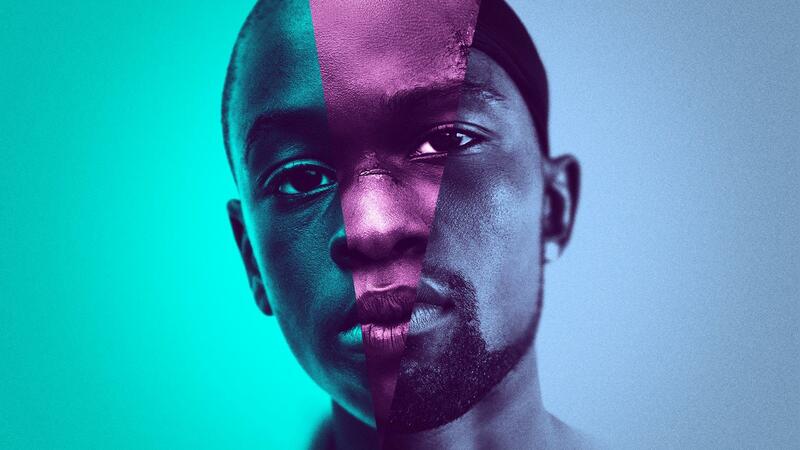 Moonlight, the 2017 Best Picture winner from Barry Jenkins, tells the story of Chiron throughout three important periods of his life as a child, teenager, and an adult. Going by different names through these periods, you can clearly see where each story begins and ends— Little from scenes 1-31, Chiron from scenes 26-58, and Black from 58-84. Most interesting then, are that the appearances of these characters overlap to a degree. Being that they’re all the same person, you wouldn’t expect this. But through flashbacks, we return to early points in his life. As a child, Chiron goes by Little and is mentored by his newfound father figure, Juan and Juan’s girlfriend, Teresa while Chiron’s mom, Paula, sells her body for drug money. Little’s story jumps into Chiron’s story where we find out that Juan has since passed on with Teresa still having influence in his life, with Paula continuing her role as an unfit mother. And while extras appear the most overall in the screenplay, they have a significant disappearance here. From scenes 29-44 we focus on impactful moments with characters we already know rather than introducing a new location or cast. This helps ease the transition between these two points in our protagonist’s life. Terrell, Chiron’s bully, only appears in his teenage story where Chiron stands up for himself by attacking Terrell. This leads to Chiron’s arrest and breaks the movie into adult Chiron’s story, where he’s now called Black. Black has become a victim of the criminal justice system and now sells drugs to get by. With his surrogate parents now gone from his life, Black has only Paula to rely on. Paula now laments her years of neglect to him as she apologizes and insists she loves him, even if he doesn’t love her. Even so, you can see that her appearances and involvement don’t make it far into his adult life. Kevin, Chiron’s only real friend throughout his life, appears in every period of Chiron’s story. As a kid, we see what appears to be a crush Chiron has on Kevin. As a teen, the two share a moment of intimacy on the beach before the bullies drive a wedge between the two, forcing Kevin to hit Chiron. Then, as adults, the two reconnect and talk about their lives. And the final scenes are ones with Kevin and Chiron now very much involved in one another’s life, with the final scene in the script bringing us back to Little as we return to the hope of childhood. Moonlight’s ever-changing characters is a realistic portrayal of growing up. People come in and out of our lives as we grow and move on, but close bonds like Chiron and Kevin’s can last a lifetime. The box office and critical success of the film shows how a unique and well-crafted character study can work wonders. Made for $4 million, the film made $65 million worldwide and won the Oscar for best picture. The 1985 classic family sci-fi Back to the Future is host to many iconic film characters. The character who make the most frequent appearances are extras that make up the past and present Hill Valley as Marty tries to correct his interference in the past. As our protagonist, Marty appears the most of any individual character, only making notable disappearances from scenes 55-65 and 85-100. In the former sequence, the film shifts to focus on Lorraine, George, Biff, and Marvin over our main characters. In the latter stretch, we simply have an increased reliance on Doc Brown. Interesting to note is how Doc Brown, arguably the film’s most memorable character rarely appears with the other characters in Marty’s journey. He has a single scene with both Lorraine and George, but only watches them from afar without speaking to them. Biff, the main villain, shares nearly all of his scenes with Marty’s parents Lorraine and George. Biff bullies them throughout much of the film, in both the present and the past. Yet after Marty meddles in the past, Biff turns from Lorraine and George’s boss into their worker. While Back to the Future is an older movie than those we’ve looked at before, we can adjust for inflation to put the box office into comparable terms. Adjusted for inflation, the film was made for about $45 million and went on to make $547 million worldwide. Back to the Future holds the number 69 spot on top 100 worldwide grossing films adjusted for inflation. Babel is an extremely interesting film to look at with the Character Appearances in Scenes plot. As a film which follows three unique storylines taking place in different geographical locations, the plot allows you to see which characters interact and which remain separate. The story in Babel focuses on Morocco, Japan, and the US/Mexico, and the three main storylines are very easy to parse out through the chart. The Morocco based characters Richard and Susan have all of their scenes contained together, with only brief interactions with the rest of their family and babysitter over the phone. We can see this through some brief overlaps with Amelia, Mike, and Santiago-- the US/Mexico based characters. Morocco has another group of characters which aren’t the focal point, however. Introduced in the film’s cold open, Yussef, Ahmed, and Abdullah launches the events of both the Morocco and US/Mexico storylines in motion. The cold open can be seen as ending around scene 13 with the introduction of Mike. Because we focus on so many different settings and characters, it makes sense that extras would appear number one on the chart. The only time extra characters are not present is from scenes 57-68 when we focus on Susan’s illness instead. The Japan storyline is the most self-contained. In it, we follow Chieko and she’s the only one from her storyline deemed important enough to appear on the chart. For the majority of the film, it is unclear as to how this storyline connects to the events transpiring in the rest of Babel. It is only at the end that we learn Chieko’s father’s gun had been sold to someone in Morocco. This is the same gun which Yussef accidentally uses to shoot Susan. Despite not interacting with many other characters and only being fourth most important, it is Chieko who closes out the film. The choice to focus on her after focusing on Richard and Susan’s family for much of the film came as an odd surprise to audiences. Despite lukewarm critical and audience reception, Babel found its success overseas. With a budget of $25 million, the film went on to make $135 million worldwide. It is important to note, however, that the film only made $34 million domestically. But the wide range of locations and groups represented in the film allowed it to find an audience abroad. Free Fire’s flop at the box office could’ve been easily predicted with a glance at this chart. Made for a budget of $7 million, the film only managed to make $1.7 million worldwide. What initially may seem like an attempt to break the mold, breaks too many rules of storytelling. In short, there is no focal character and no subplots. As an ensemble piece which quickly throws the audience into the action and stays there for the entirety of the film, you still need to relate to the characters in order to invest in the action. By introducing four of our main characters immediately, only getting rid of them when they’re in pain or dead, no emotional backbone is built into the story. As you can see above, the top five characters have incredibly similar appearances. Vernon and Frank depart at scenes 215 and 202 respectively, but before that line up almost exactly with the other characters. Chris, who appears the most, even disappears largely between scenes 132 and 178. We aren’t given any backstory to the characters, with relationships and motivations tossed out casually in brief exchanges of dialogue. As a result, the audience has no character to root for or to root against. Any tension attempted in the action scene is deflated due to a lack of empathy for the characters. Here, we see a clear cut case of too many characters given too much screen time. Alfonso Cuaron’s space drama features only two characters on screen, Ryan and Matt, and is quite an outlier. Although several human characters are introduced in the first scene, this film relies heavily on Ryan and Matt. Yet Matt dies in scene 18, and then only appears within Ryan’s imagination in two scenes at the middle and one at the end. Ryan’s heavy appearances give her the majority of the screen time with only 2 scenes without her making an appearance. The scenes that don’t feature Ryan are only establishing shots of the vast emptiness of space. She both opens and closes the film and the final scene brings us one other character as well. The focus on one character and one narrative may be very risky but served the film to great effect. Not only did it win seven Oscars, but Gravity made $723 million off a $100 million production budget. You’ve just looked at 9 different movies, everything from character studies, to ensembles, to multiple storyline-based films. We can see a clear correlation between character appearances and the critical and commercial reception of a film. Films which serve their main characters well, using the supporting cast to great effect, tend to do extremely well. And movies with a large ensemble still need to focus on a core protagonist for the emotional backbone of the story in order to be successful. While Babel was successful financially due to its overseas box office, the critical and audience reception was quite poor which could be due to the lack of a focal character. Scriptonomics’ visual breakdowns of these crucial script elements is an excellent way for a screenwriter to get a glimpse of their prospective script’s character appearances. Whether it incites you to add more scenes for a specific character, a new subplot, or to pay more attention to which characters don’t share scenes together, Scriptonomic’s Story Scanner is a helpful tool for any script. While there’s no right or wrong way to write your script, you can upload your script to Story-Scanner to start thinking through these steps and making sure that every decision was intentional. If you have multiple drafts of your script you can upload each draft and see if you can spot new additions to your draft through changes in your plots. The Who & Which of Your Characters: Focal, Driving, Contextual, or Other?